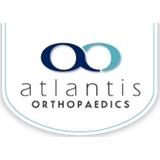 Atlantis Orthopaedics (Atlantis) - Book Appointment Online! For the past 35 years, Atlantis Orthopaedics has been working hard to deliver only the best care to men, women, and children in the West Palm Beach area. Thanks to our hard work, we have developed an excellent reputation. We take pride that our surgeons and therapists are highly skilled and at the top of their respective fields. We make every effort to ensure that our patients receive the most advanced and the best care possible. Throughout the full range of Orthopedic conditions, we work daily to improve our patient's quality of life. In addition to providing excellent care, our West Palm Beach orthopedics team aim to enhance the technology used in orthopedic surgery. Our surgeons are board-certified, and fellowship trained. They continuously expand on their skills and employ the latest technology. Explained everything in terms that I could understand. Took me step by step through the treatment plan and answered all of my concerns. It was plesant, he listened well, and told me of his diagnosis, and the treatment of my problem. He helped me very much and great care for my needed. I have excellent treatment with dr. Ashberg it’s very rare these days as much as a caring surgeon I ever met. I feel very lucky his care. I am always grateful to his assistance she is sincere care to help me too.